Moving tips are much needed during this stressful time. Just last year, my husband and I decided to make the big move from our tiny apartment in San Francisco to our brand new home in the Napa Valley after finding out that we were expecting a beautiful now 5-month-old. Now imagine me trying to get everything together while pregnant. So many boxes, labels, fragile china, and lots of furniture to be lifted into a moving truck, and only so many hands to do it. Since my husband and I are pretty meticulous when it comes to our stuff, we wanted to find ways to make packing as efficient, organized, and easy as possible. And of course, we didn’t want anything damaged! So after some searching, I found some moving tips, tricks, and products that made our 30-mile move a million times easier. Furniture like sofas and tables are heavy, so it’s easier to slide them across. We tried using some DIY sliders made from foam mats, but they just weren’t doing the trick. Luckily, we found these great furniture sliders from Super Sliders with pretty durable rubber foam to help us move the dresser and couch to the truck. Wanting to keep labor costs as small as possible, I found this ingenious lifting and moving system from Shoulder Dolly (which kind of looks like something a bodybuilder would use!). All we did was take the straps over our shoulders and buckled the belt in front of us. There was then another strap attachment that went under the thing we were lifting. That way, we’d get extra help from the strap to help us move all of our heavy things. No movers needed! This is one of the most useful moving tips I can give you. Items will be less likely to shift the closer they are to the cab, since they’re sandwiched by other items. Make sure these first items are the heaviest, such as sofas and tables. Packing bigger items first will also ensure you know how much space realistically have in your moving truck (and if you need to rent something bigger). We save a ton of time by packing all our kitchen stuff next to each other. When we needed to cook our first breakfast, we knew exactly which boxes needed to be pulled out. Our friends and family who helped us pack benefited too: They knew exactly where everything needed to go. What’s harder than lifting a box full of heavy things? Lifting a big box of heavy things. Trust us, we learned this one the hard way. Once we realized what we were doing wrong, we placed heavy items such as books, decorative centerpieces, and heavier electronics into smaller boxes so the box would be easier to maneuver. The key to not wasting a few hours searching for stuff is labeling the stuff in the first place. Buy at least five rolls of different colored electrical tape or these pre-printed label tapes that make your life SO MUCH EASIER. Once you’ve labeled by room, you can even get a bit more specific. Write the box’s contents in marker on the box. For example, after you’ve labeled the yellow tape “kitchen” and slapped it on the box, write “dishes and utensils” below the label for your fork and knife box. We realized how much duct tape we were wasting when we went through two rolls in a heartbeat. I got some shrink wrap from Ultra that had a huge stretch factor — perfect for wrapping boxes with fragile things inside. We weren’t wasting tons of tape, we used less wrap then we thought we would, and it was pretty strong as it wrapped around all our boxes. There’s a reason why it’s called duct tape and not packing tape! Packing tape is the stuff that comes in rolls with a special handle to make application to boxes much easier than peeling duct tape. Plus, it’s super sticky and you can reasonably write on it (perfect for labeling). If it’s good enough for UPS or the post office, then it’s good enough for your fragile belongings. Taking off hangers from your clothes and then putting them back is one of those annoying tasks you never think of when moving. Instead, take your clothes down from your closet — hangers included — and place them in a large garbage bag. Make sure the tie part of the bag is facing downward. Then, poke a hole through the top of the bag with the hanger. 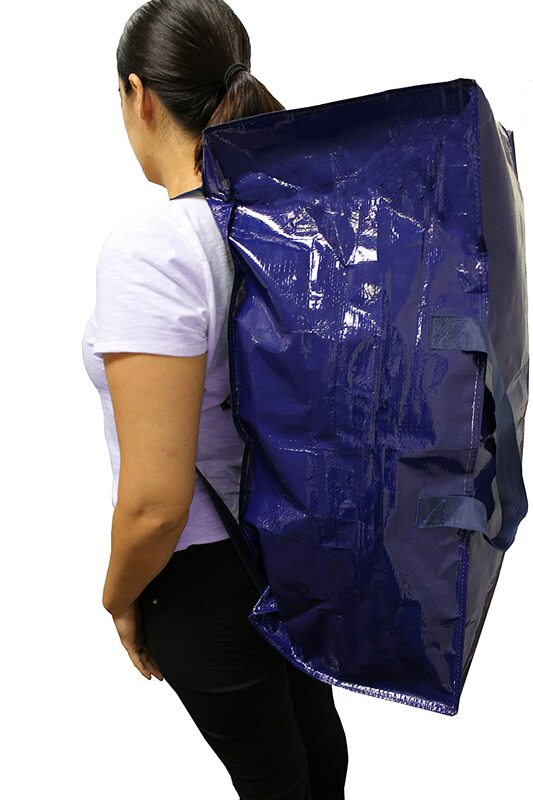 If you’re taking larger items with you like the fridge or the washing machine, you can place smaller items inside. The bed however was very tricky. We really couldn’t figure out a way to lift and move the mattress and tie it to the top of my car without risking damage to the mattress. 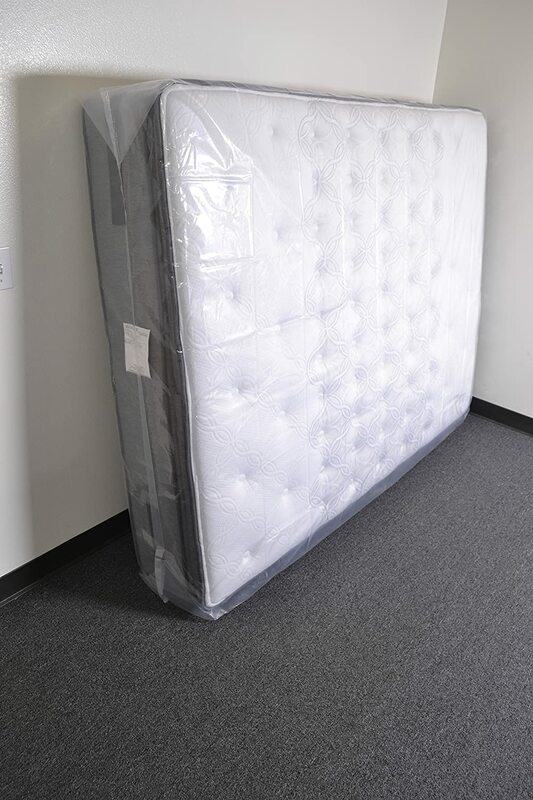 We found this mattress bag from Cresnel online to protect the bed. Who even knew there was such a thing? The mattress bag made moving the bed downstairs and to my car a lot easier. With so much stuff, we didn’t have time to unpack all the things we put in the van. Since our rolling bags already had silverware and China in them, I found these nifty, heavy-duty totes from Earthware where we packed up pretty much everything we needed for the first night: clothes, shoes, toiletries, laptops, books, and a sleeping bag for each of us. My husband and I were surprised at all the little things we had. As in really little things, like screws, nails, and little trinkets. Pack a lot of Ziplocs so that you have enough to spare when these unexpected little things pop out, or you need to reassemble your shelf when you move in. Here’s one of the many moving tips to protect your items during the move. For Fragile objects such as photoframes, glass wear, and dishes these cushion sheets make you feel sure that no crack is ever gonna happen to them, if you tend to get paranoid, place 2 sheets between the items instead of one. 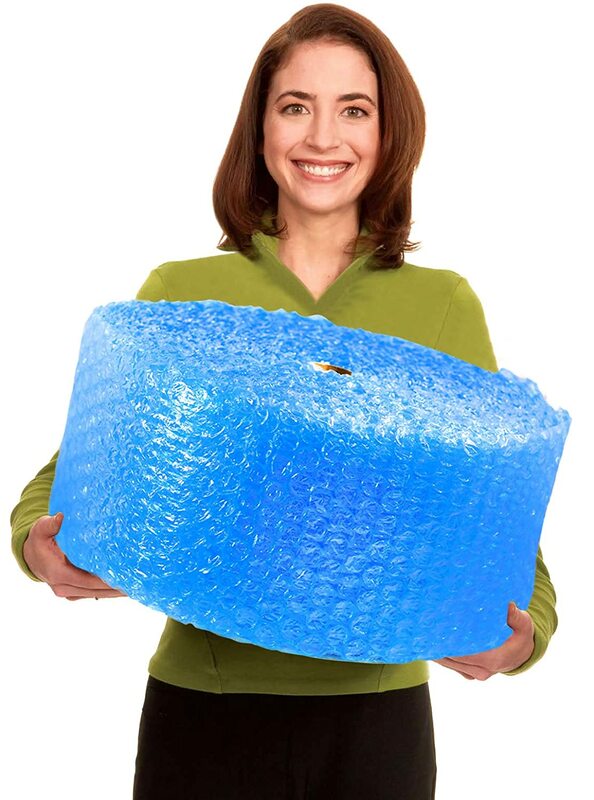 A must for wrapping furniture corners, TVs, electronics, Fragile objects. 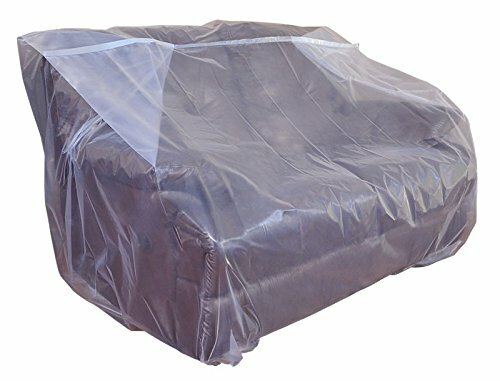 For keeping Sofas, loveseat, and all your other big furnitures clean during transportation and prevent scratches and dings, use big plastic bags all around them. 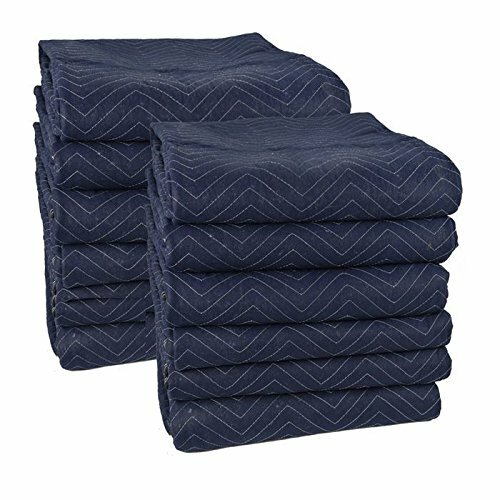 A easy and fast alternative to Bubble Wrap, Moving Blankets are perfect to cover tables, TVs, Mirrors and other bigger objects. They’re easy to put on and take off and they will prevent scratches and hits. If you decided that you can do things yourself without a moving company, a dolly will be definitely helpful to move the big bulky items. 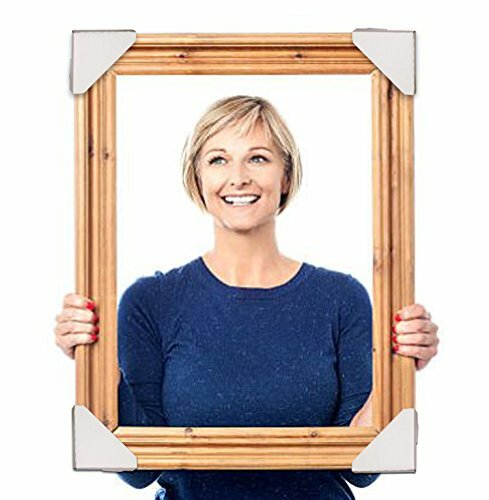 Protects photos, diploma, all sorts of frame corners from getting scratched and dinged up with this Frame Corners Protectors. This is one of those moving tips that will make your life easier and many other lives better. Places like Goodwill will take your gently-used stuff, and you’ll get a tax write-off after you drop them off. Alternatively, you can also call up a donation company to pick them up from your soon-to-be-former home. We donated some of the board games we had and got some great tax write-offs in return. The best of both worlds! This is one of the moving tips that might seem obvious, but you’d be surprised how easy it is to forget to do this when you have a million things going on. We noticed the err of our ways when our Amazon Prime shipment didn’t come in after a week! Turns out Amazon still thought we lived at our apartment. If you don’t want your fancy new drone to be shipped to the wrong address, then plan ahead! This one might also seem like a no-brainer, but it’s also something you can easily forget. Make sure your TV, internet, electricity, utilities, and online shipping subscriptions to your old address have been canceled and you’ve asked for your records to be transferred to your new address. Pay particular attention to local and federal government services, as many of them (such as the DMV) require you to register your new address within a certain time period (e.g., within the next 10 days). Many online services make this service easy on their website or their mobile app. My husband and I are foodies, so the worst thing you can say to our faces is “no food!” It’s one of the moving tips that everybody tends to forget. But all that food is going to waste if you don’t stop buying it before your move. Plan to stop buying food at least a week before you move to ensure you finish everything. My husband and I lived on ramen noodles more times than we’d like to admit, but it was worth it! Ramen gets a bad rap anyway. It’s delicious! I know this is one of the moving tips that might sound like making your move even more tedious than it should be. But you can’t risk losing the only copies of your family’s birth certificates, passports, social security cards, pay stubs, tax returns, mortgages, car payments, and the like. If it can get lost or damaged, then it’s best to make copies of it. If you’re not willing to waste that much paper, you can turn your documents into PDFs and place them on a flash drive or a cloud service. Alternatively, take advantage of services that will offer paperless, digital versions of your important documents. What’s the best way to anyone’s heart? Pizza! There’s really no reason why you can’t thank all the people who helped you move with a few pizzas and some drinks on your dime. The day of the move my husband stepped out for a bit to call some pizza and soda in, and we had a makeshift lunch in our front lawn while we sat on boxes. How’s that for a first meal at the new place?! It’s a story we’ll always remember, and the least we could do for our family and friends who decided to help us with the move. In just a little over a day, my husband and I were able to move everything into our new humble abode. And I did it with a baby on the way! Just goes to show you anyone can move efficiently and easily. When was the last time you moved? Do you have more moving tips? Was it stressful? Leave a comment below! Next articleMoms: Working Vs. Stay at Home. Is there any difference between us?